Anyone whose mobility is hampered or who is confined to a bed or wheelchair is at risk of developing bed sores (also called pressure sores or decubitus ulcers). These wounds are serious injuries that can lead to sepsis, infection and death. Our attorneys have extensive experience in addressing these injuries through legal action. 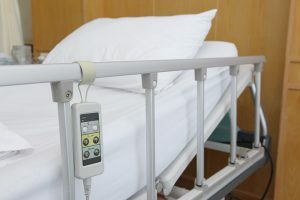 In order to prevent bed sores, the nursing staff is responsible for regularly adjusting the position of residents to encourage adequate circulation. Sadly, this is often not done. Staff members frequently fail to take the time to adequately move residents. Overworked and underpaid, they allow residents to sit or lie in bed unattended for hours â€“ causing these serious sores to develop. At Solomon & Relihan, our lawyers hold nursing homes accountable. Since 1974, our Phoenix law firm has been representing the victims of personal injury. We are experienced negotiators and skilled litigators who put our clientsâ€™ needs first â€“ doing the best job possible for people who need our help. Bed sores are areas of damaged skin and tissue that develop when pressure from a bed or wheelchair cuts off circulation. Without enough blood flow, the tissue dies. Bed sores usually develop on the elbows, buttocks, hips, and heels â€“ areas of the body on which the most pressure is placed when in a bed or wheelchair. A family member should regularly check the pressure points on the buttocks, legs, elbows, and heels for evidence of pressure sores. Pressure sores begin as reddened areas that do not blanch (turn white) when pressed. If not attended to properly, the pressure can cause underlying tissue to break down and become infected. In severe cases, bed sores can become life threatening. If you or your loved one has suffered bed sores while in the care of a nursing home or other similar facility, we may be able to help get you justice and compensation. By holding the nursing home accountable, we may succeed in preventing harm from occurring to others in the future. Speak with an experienced nursing home lawyer about your options. Call or e-mail us to schedule a free and confidential consultation.